You are currently viewing the 2010 trials. Tony Iley from Longframlington judged 14 dogs working difficult and very testing mule hoggs over a flat course. Jim Easton from Eglingham judged 12 dogs working very testing mule hoggs. Gordon Rogerson from Wooler judged 15 dogs working strong willed blackface hoggs over a very testing hillside course. ^ Alan Wallace from Bellingham judged 31 dogs on a hill course with good Lleyn sheep. Jim Fyall from Bellingham judged 41 dogs over a testing flat course with strong willed mule sheep. ^ Scott Anderson from Lockerbie judged 33 dogs over a very good course with well behaved mule sheep. ^ Bevis Jordan from Whitfield judged 21 dogs over a good course with strong blackface sheep. ^ Derek Archibold from Hawick judged 26 dogs on testing lleyn sheep. ^ Alan Elliot from Alston judged 53 dogs running on swale ewes. ^ Gordon Thompson(Edmundbyers) judged 30 dogs over a large course with mule ewes that were determined not to be penned. ^ Stuart Wallace(Selkirk) judged 36 dogs on a small but testing course. ^ George Smithson from Kirkbride judged 58 dogs over a good course with swale sheep that behaved well. ^ Gordon Rogerson from Wooler judged 39 competitors over a good sized course with sheep that needed careful handling. ^ Raymond McPherson from Kirklinton judged 58 dogs over a very large course running on fit halfbred sheep that proved challenging to handle. ^ Bert Redpath from Yetholm judged 62 dogs running on strong Blackface sheep. ^ Tony Iley(longframlington) judged 27 dogs running on suffolk x sheep that were tricky to handle but responded well if kept calm. another excellent trial hosted by tony iley,good course,good sheep,and very testing at the pen.Mike Northwood judged the 30 dogs that ran. Geoff Pringle (Alwinton) judged 54 dogs over a large course with sheep that were always determined not to be penned. Tony Iley (Longframlington) judged 56 dogs over a good course with good testing sheep. Jim Easton (Eglingham) judged 41 dogs over a large flat course set in a beautiful parkland setting. 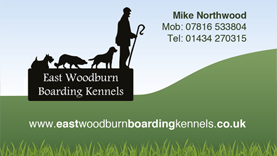 Bill Elliot from Yetholm judged 37 dogs over a demanding hill course with blackface sheep that required carefull handling and determination to put them through the chute before the equally difficult single. ^ Scott Smith from seahouses judged 46 dogs ,running on lleyn hoggs that needed careful handling around the course.